The number one obstacle I have to overcome when trying to convince a client to consider a tour is the lack of free time. If you’ve booked yourself on a tour around Europe, you want the time to enjoy it, and if you’re adventurous like most Millennials and Gen X’ers, we like to go off on our own to explore. On a Topdeck tour, there is always ample time to leave the group and wander off. On a three day pit stop in Swakopmund (Namibia) on my South West Safari tour, I had breakfast with my new friends, and spent the afternoons quad-biking in the dunes, hanging out with the locals in cafes discussing African life, and lazing around to write in my travel diary. No pressure. All on my own time. There is of course, an age old debate that tours cost more than solo travel, and I don’t know that I necessarily believe that’s always the case. However, when I factor all the tangibles (meals, accommodation, transportation etc) and include all the intangibles (convenience, skipping the line at busy attractions, guaranteed departures and quality of the itineraries), the value of a Topdeck tour is unbeatable. So you’re a Topdeck Convert – How do You book a Topdeck Tour? Why not book with a specialist? I’ve been selling Topdeck tours for over 10 years, and I’ve experienced the product first hand. 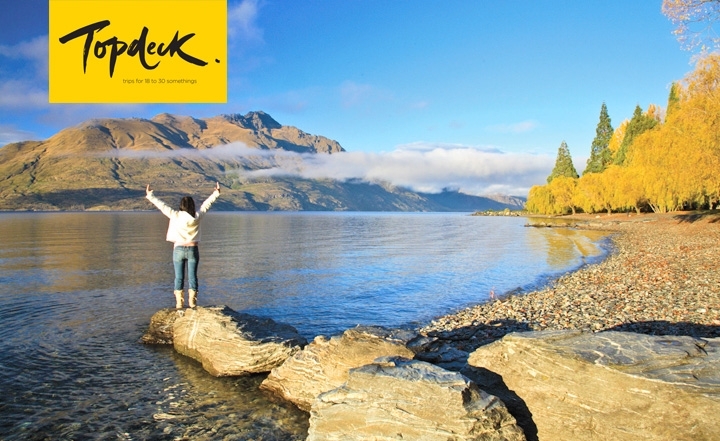 Topdeck has fantastic itineraries in Europe, North America, across Africa, the Middle East, Australia & New Zealand. Go ahead, rub your eyes, it still says free! From March 1 – March 31, 2017, Topdeck is offering free flights on a select number of European based itineraries and a $599 airfare add-on deal from the following cities: Vancouver, Toronto, Los Angeles, New York, Cape Town and Johannesburg. Departures are in April, May and June 2017 – Check out my Facebook page for more details! So, if you’re between 18-39 and you’ve been toying with the idea of an organized tour, contact me today and let’s find out if Topdeck is for you!